The car guard – a valid profession? 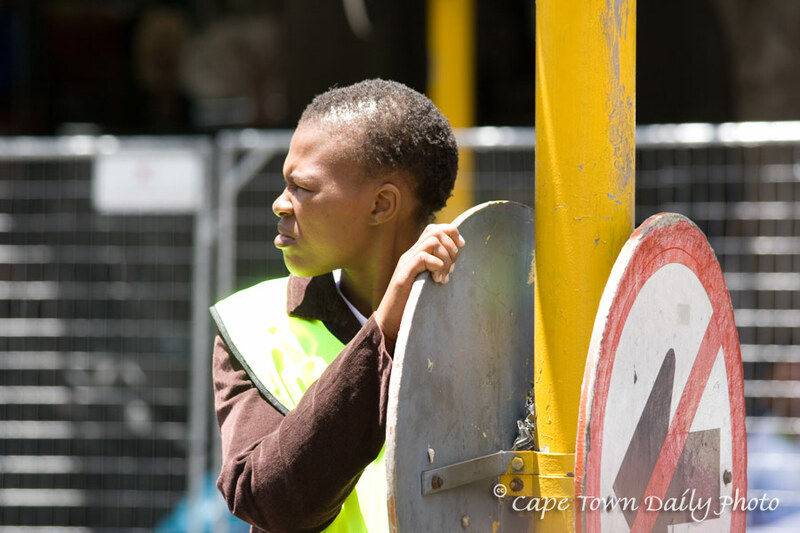 Formal and informal car guards are an unavoidable part of a motorist's life in Cape Town, and in fact all over South Africa. Identified by official-looking bibs, their only source of income is tips offered by grateful vehicle owners. Even though car guards are often ignored, insulted and brushed aside, they seem to carry on with their job, undeterred. I once sat in a shopping mall parking lot watching a guard direct vehicles into parking bays. I watched him help drivers reverse out of bays ensuring that they didn't reverse into something or someone. I watched five vehicles leave without giving a nod, a thank-you, or a tip. I wonder how many people realise that many of the guards are refugees waiting for their citizenship; highly educated and qualified; many with Master's and Doctorate degrees... in many cases more educated than most of their clients. Many people believe that unofficial car guards should not be tipped. Many believe that official ones should be paid by the company employing them - though in most cases this is not the case. My viewpoint is different from this. I'm grateful that there are always three or four guards around to make sure that thugs don't harass Kerry-Anne while she's packing groceries into the car. I'm grateful that they warn me to stop reversing when a toddler runs in behind my car. Thanks guys - even though you're unappreciated, there are many who value your service. You rock! Disclaimer: Once in a while we do come across unscrupulous "car guards" who are just out to make a quick buck and have no interest in providing a service. They normally don't have an official bib; these guys I don't tip. Posted in General on Tuesday, 29 January, 2008 by Paul.